The following is a list of all state statutes governing the workers compensation process within the State of Rhode Island and the Providence Plantations. Please note that the Legislature and Legislative Data Systems make every effort to assure the accuracy of these state laws and do make regular updates. 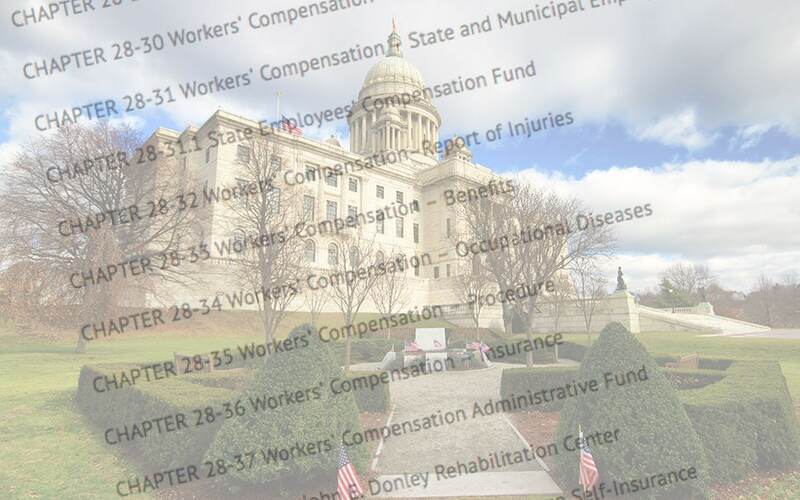 These state statutes are a great resource but if you need a further explanation of the law as to how it pertains to you, please contact Workers’ Comp Attorney Tom Ford.